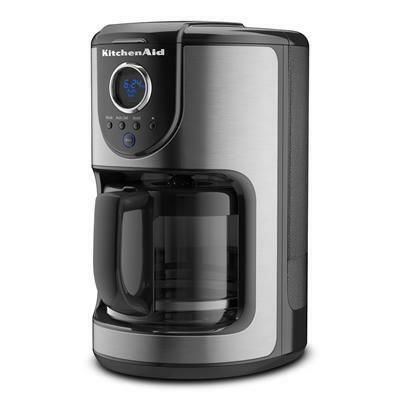 KitchenAid 12-cup glass carafe coffee maker with removable water tank for easy access to fill with fresh water. 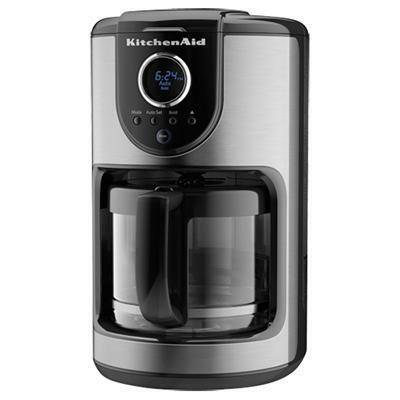 Features 1-4 cup brew cycle which automatically adjusts the brewing small process for maximum flavor when brewing small quantities, pause and serve feature which stops the brew cycle to allow for pouring a cup of coffee before the entire pot is complete. 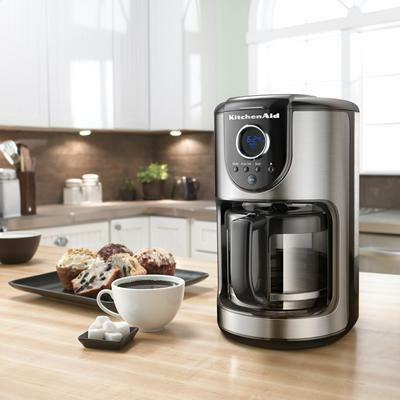 Additional Information 1-to-4 cup brewing assures optimum flavor when brewing small pots of coffee. Flat-bottom brew basket presents a uniform bed of coffee to allow for even extraction. 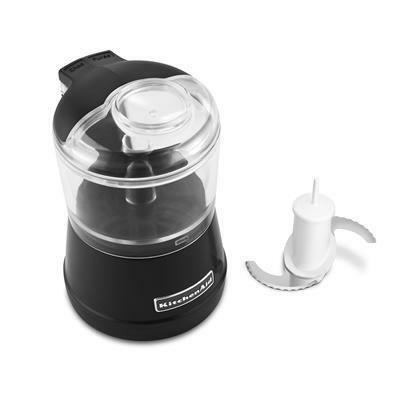 No spill, no drip carafe. Refined Brew Process. 24-Hour Programmability. Variable Brew Strength Selector. Clean Alert. Extra-Large Digital Display and Clock. Replaceable Charcoal Filter. Gold-toned filter. Showerhead Design. 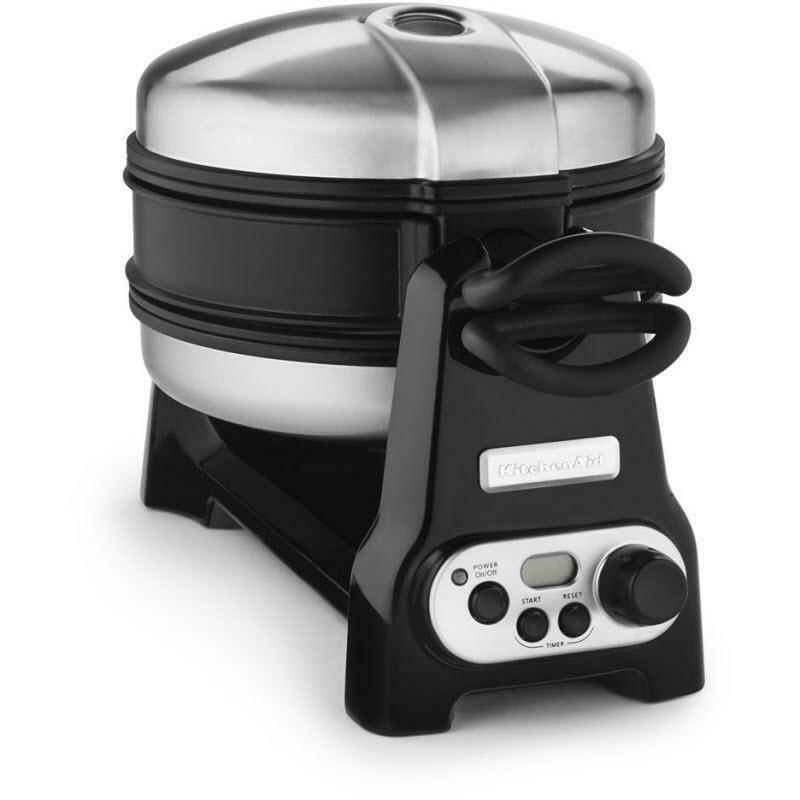 KitchenAid® waffle baker with CeramaShield™ non-stick coating. 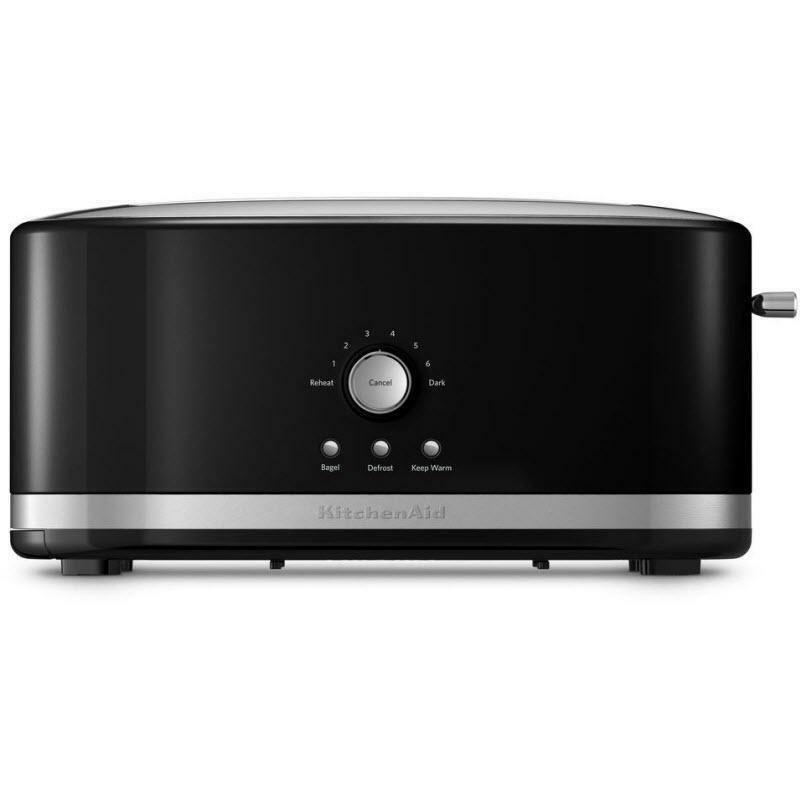 Featuring a preheat indicator and a digital countdown timer, over bake indicator, and automatic shut-off. Can bake two consistent grand Belgian waffles at a time.